A couple of years ago I was on assignment for Island Records UK with music journalist Vivien Goldman to document the 50th Anniversary of the groundbreaking label and I met industry legend Chris Blackwell at his New York City apartment. For those of you who need a refresher, Blackwell founded Island Records in Jamaica back in 1959 and it was the largest and most successful independent label in the heyday of the music business with the release of chart topping albums by artists like U2, Tom Waits, Cat Stevens, Nick Drake, Traffic and of course, the legendary Bob Marley. As Chris is a fellow jazz fan, we immediately made a musical connection and after an hour discussing the brilliance of Miles Davis and John Coltrane, our session was off and running. After he shared the incredible story of Island Records we took a break for lunch and our conversation continued, covering a wide range of musicians. But the most memorable part of the day came when Chris pulled me aside and said he wanted me to hear something in his office. He proceeded to play one of the most incredible tunes I have ever heard – at full volume – and it was just amazing. I had no clue who it was but it was just heavenly. As the tune played for over seven minutes, he told me that he produced the track in 1977 with Island Records artists John Martyn and Steve Winwood – outdoors on his farm in England in the wee hours of the morning. The whole experience of sitting with Chris Blackwell and hearing this beautiful song and story made such a strong impression on me and it is one I will never forget. Fortunately, I was able to capture Chris telling the story of recording the song “Small Hours” with John Martyn and you can listen to the podcast episode below (just press play). I hope it stays with you as it did me. 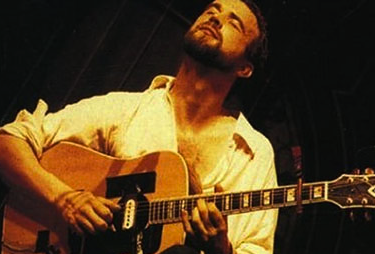 Watch John Martyn perform “Small Hours” in concert from 1978.